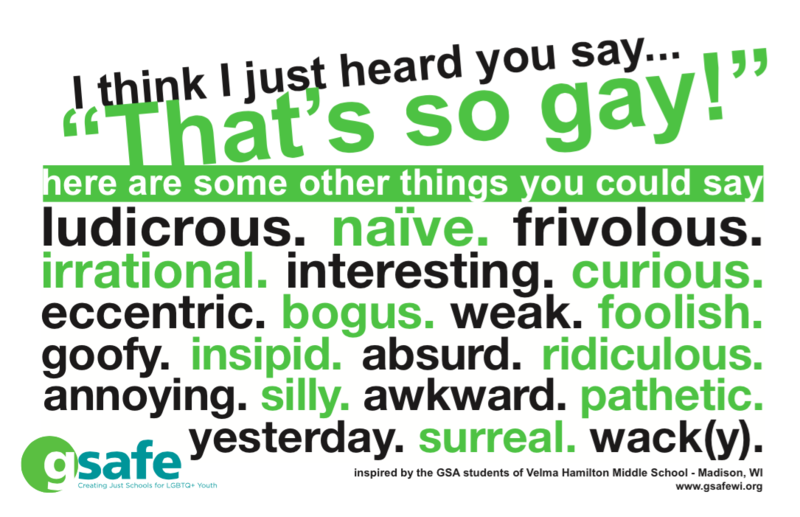 More than ten years ago, the GSA students at Hamilton Middle School in Madison created a poster to address the use of the phrase “that’s so gay.” With their permission, GSAFE took the poster and turned it into something that could be distributed to schools all over the country. 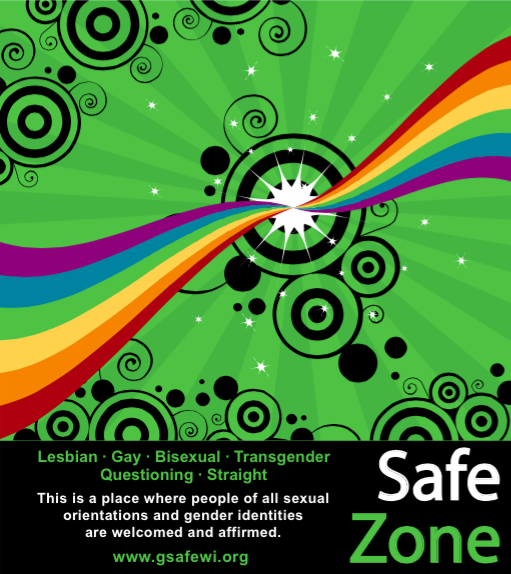 We have received orders for this poster from every state in the U.S. and Canada. 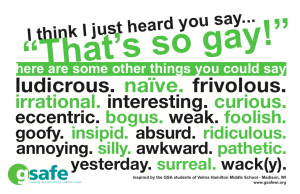 You can view and order this poster here in three different sizes. Former board member and graphic designer Judi Devereux created this Safe Zone sticker for GSAFE so we had one to give to educators after completing our Safe Zone training. You can order packs of this sticker here.